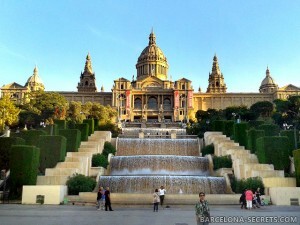 These private wine tours and wine related activities in Barcelona can be organized for families, groups of friends, as a nice celebration, or a great corporate team experience. Best for groups of 5 to 20 people, but please inquire for larger groups. 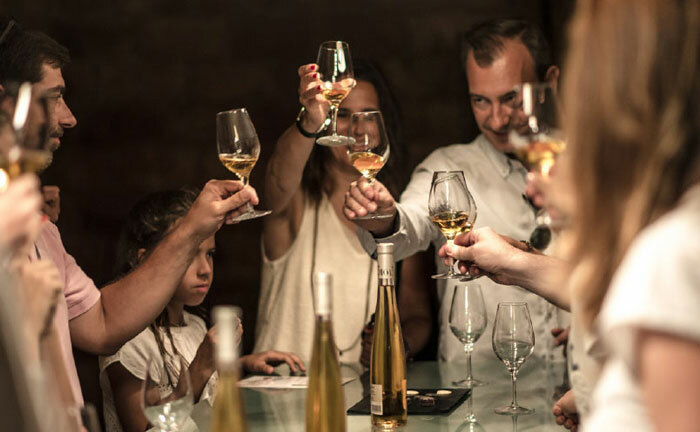 Enjoy a memorable day in the beautiful countryside near Barcelona, visiting amazing family run wineries and combining the cellar tour and wine tasting with food pairings, outdoor activities, cooking workshops, etc. 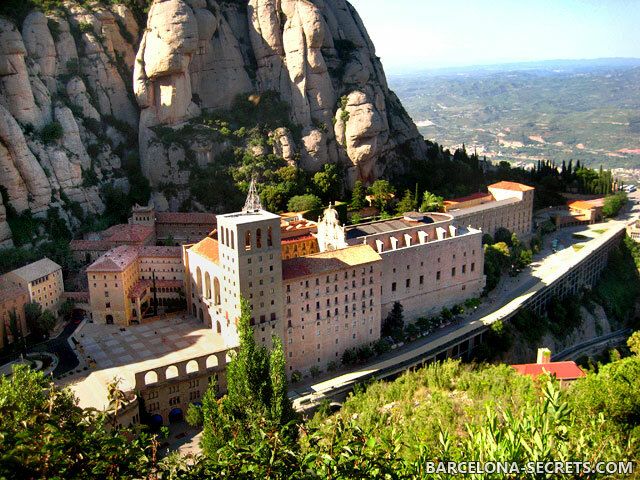 Visit one of the best family owned wineries of Catalonia for a detailed wine tour. Enjoy explanations about the winemaking process, from the vine to the bottle. And finally, taste wine with some local snacks! 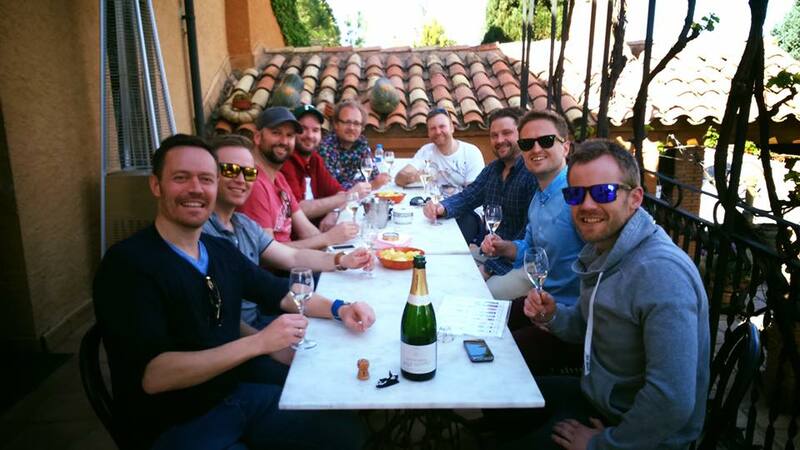 The tour can be organized in different wine regions of Catalonia – Penedes (Cava), Alella, Pla de Bages, etc. Let us know if you have any preferences about the region or the particular wineries to visit. Includes: English speaking wine guide, comfortable minibus with driver, detailed winery tour, wine tasting, hotel pick up & drop off. Enjoy great Catalan wine with tasty local snacks – cold cuts (sausages and jam), cheese platter, fresh salad and seasonal fruits. Learn how to make Pa amb tomàquet – typical Catalan tomato bread with homemade olive oil. 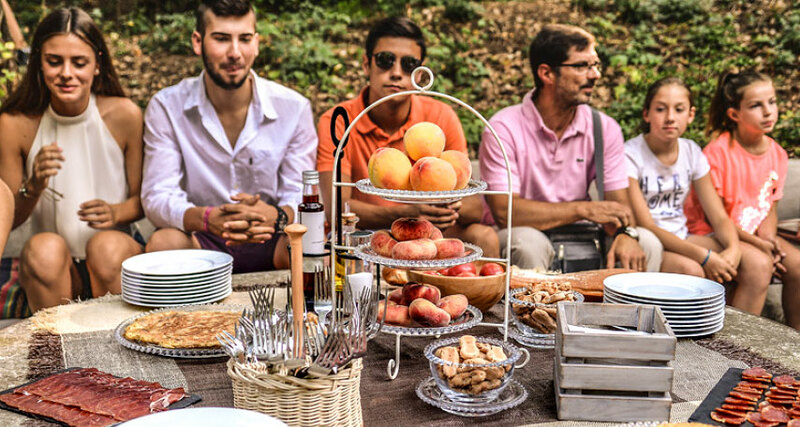 Most of the year picnic brunch can be organized outdoors, at a terrace or just in the middle of the vineyards. Includes: English speaking wine guide, comfortable minibus with driver, detailed winery tour, wine tasting, picnic brunch, hotel pick up & drop off. The best thing you can do after the winery tour and wine tasting is having a great lunch in a traditional countryside restaurant. 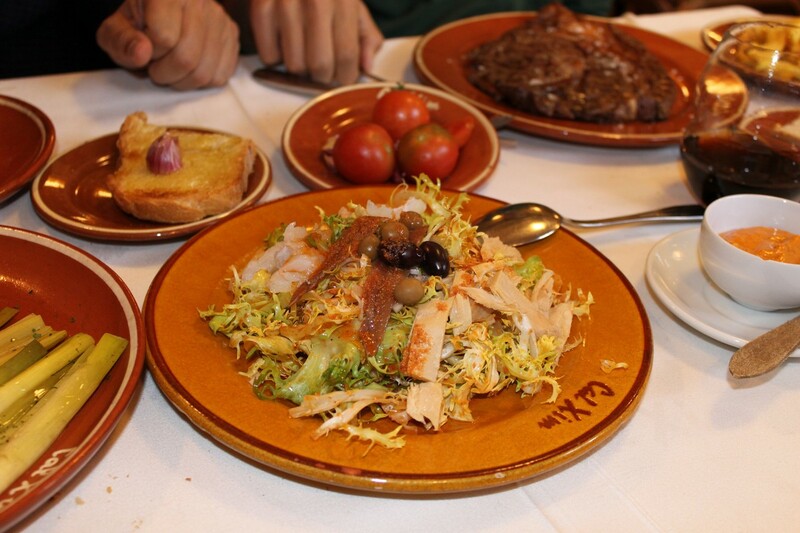 Try the most delicious meals of Catalan cuisine in a nice environment, surrounded by the locals. Good wine and nice traditional food – perfect combination! Includes: English speaking wine guide, comfortable minibus with driver, detailed winery tour, wine tasting, complete lunch (3 courses and drinks), hotel pick up & drop off. 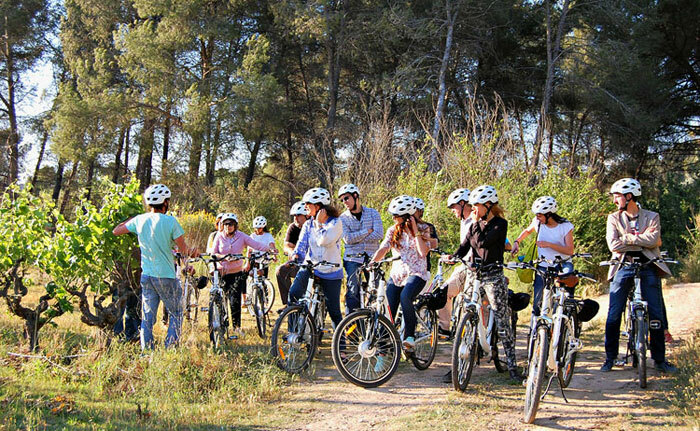 Discover the wine region of Penedes by bicycle! You will ride along the beautiful vineyards and then will do a wine tour and wine tasting at one of the best family run estates. A bicycle ride of about 1 hour is a great way to enjoy the beautiful scenery of the vineyards, and to learn a lot about this plants and the history of the region of Penedes. You can choose between the regular bike or the electrical one. Includes: English speaking wine guide, comfortable minibus with driver, bicycle rent, detailed winery tour, wine tasting, hotel pick up & drop off. Optionally, a traditional Catalan lunch in a countryside restaurant can be arranged after the tour at a surcharge of 35€/person. Use this electrical, ecological and silent vehicle for an interesting and thrilling way to explore the vineyards of Penedes! Easy, intuitive, safe and so funny! 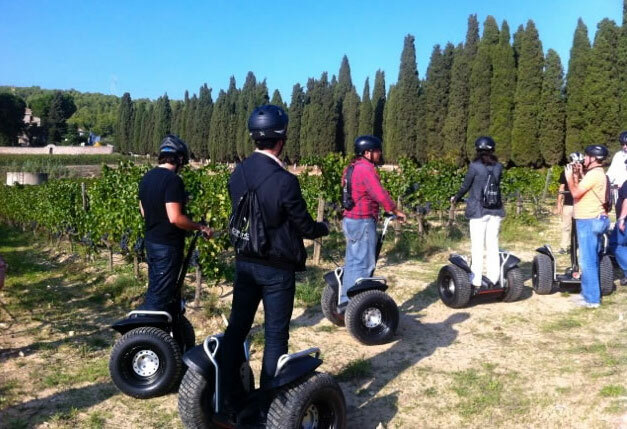 The tour starts with a short training introducing you to the segway, after which we’ll enjoy the ride in the vineyards for about one hour. You’ll learn about the terroir of the region and it’s importance for the winemaking. And then we’ll do the winery tour, and the wine tasting! Includes: English speaking wine guide, comfortable minibus with driver, segway rent, detailed winery tour, wine tasting, hotel pick up & drop off.